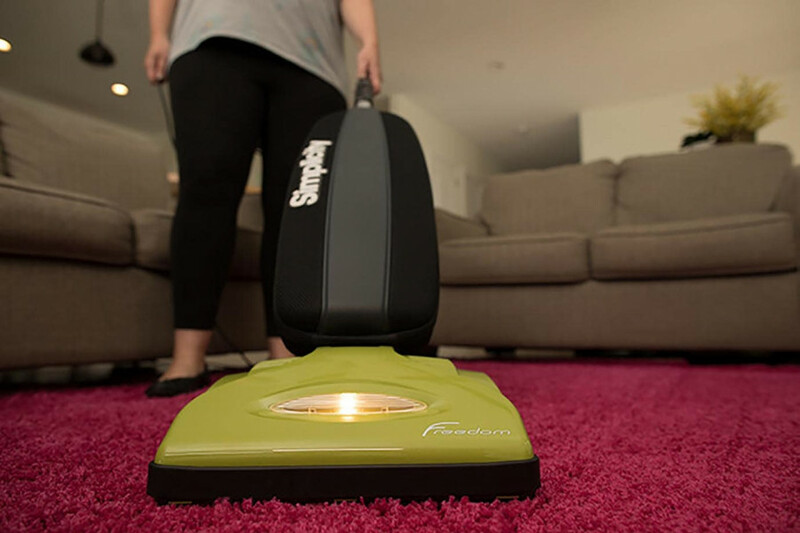 If you think of your carpet as a giant collector of dust and other allergens, it makes sense that proper and regular vacuuming is the easiest and best way to keep carpet clean – and impact the air you breathe indoors. Simplicity is particular about particulates. We know you want to buy the best vacuum to clean your home, and what better way to find the best than to test! The Carpet and Rug Institute (CRI) is a trade organization that has developed a science-based approach to testing vacuums. CRI’s testing is important to us because it helps us develop the best products. It’s important to you because you want to know you’re getting the best cleaning possible while preserving your carpet investment. Simplicity has submitted many of our vacuums for CRI testing, which uses independent lab testing against scientifically accredited cleaning standards. The CRI tests a vacuum’s performance in removing soil, containing soil and wear to the carpet. If a vacuum passes their tests, the prize is a Gold, Silver or Bronze Seal of Approval.